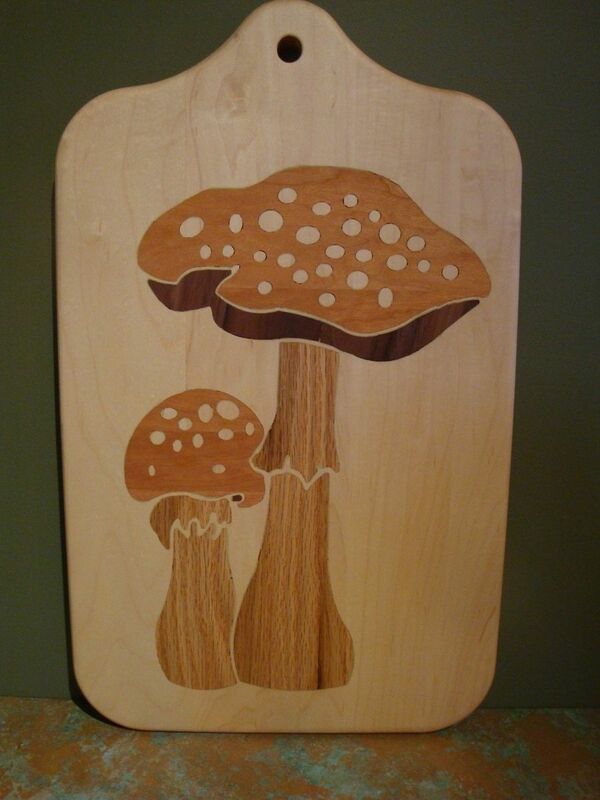 These solid maple cutting boards are inlayed with solid oak, cherry,and walnut. They are carfully milled and laminated for virtually invisible glue joints. The inlayed artwork is milled and laminated 1/8" hardwood. They are allowed to aclimate seveal days between each milling and glueing process to asure they will not crack or warp. They are then fine sanded and rubbed with FDA approved salad bowl finish giving them vivid color of grain and a satin smooth finish. I have some that I have been using for six years, they are still as beautiful and sound as the day they were made.